Well the competition between CMW and NXNE is heating up some more. First Canadian Music Week switched from it's usual March slot to a date in May much closer to it's chief rival. Then they announced the first batch of performers yesterday. 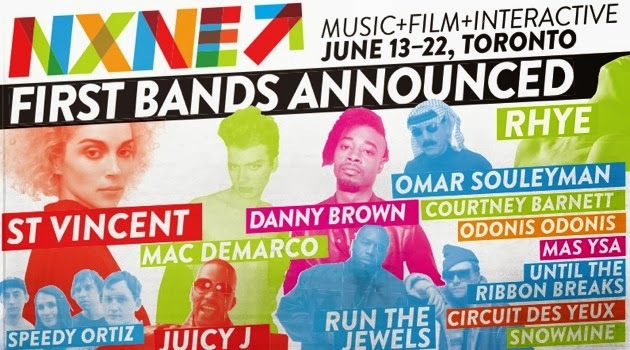 Today, NXNE countered with a list of acts that they will feature during their 20th anniversary season, which runs June 13-22nd. Read the list of confirmed NXNE artists so far here. Wristbands for NXNE are also $75 (with a holiday special), and can be ordered here. Let the festival Death Match begin!